With the health of our community in the forefront, we have successfully brought major changes to the healthcare landscape. The campaign will assist us with solidifying the future of health for all. First, we will renovate both the Mere Point long-term care and Bodwell skilled nursing and rehabilitation communities at Mid Coast Senior Health Center. Second, we will continue to move forward with the necessary expansion of Cancer Care in partnership with MaineHealth. Finally, we will build upon the Center for Health & Wellness to keep our community healthy and well. Bolstered by our accomplishments to date and our commitment to a healthy community, we are confident that our many friends like you will come together to create a significant philanthropic partnership. To make our bold vision a reality, we need your help. We have worked diligently toward fulfilling our goals of reducing costs and expanding services to support the health of our community. The capital campaign focuses on three specific projects. Provide quality, evidence-based prevention and wellness information as well as classes, clinical care, workshops, support groups, literature, and online resources. Expansion and enhancement of cancer care facilities, programs, and medical staff to meet the demand in our community, which has doubled since 2015. 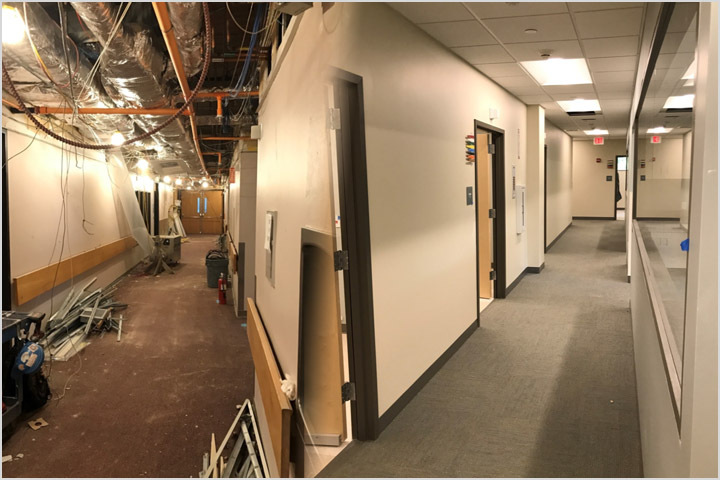 Renovation and expansion of the Senior Health Center to maximize the healing and caring environment while meeting identified needs of elder care services in our community. 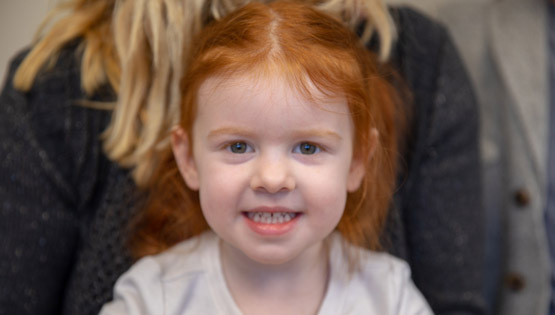 Rob, a father of three young children, Katie (3), Emma (6), and Gabriel (8), was diagnosed with cancer when he was in his early forties. As Rob's scans improved with chemotherapy, the staff at Mid Coast Hospital lovingly cared for him. The family finally felt supported. "I've been given the gift of time," Rob said. His wife, Nicole, added, "For the first time since Rob's diagnosis, the team at Mid Coast Hospital Cancer Care gave me hope." 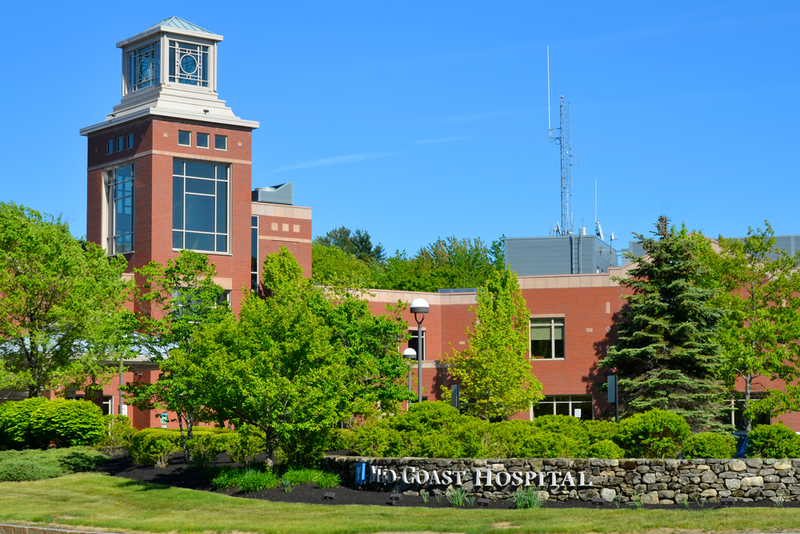 Mid Coast Hospital's Cancer Care program is accredited by the Commission on Cancer of the American College of Surgeons for the quality of its comprehensive, multidisciplinary patient care. With this accreditation, Mid Coast joins an elite group of just 30 percent of hospitals in the U.S. and the good company of eight other Maine cancer programs that have voluntarily achieved this status. Mid Coast Hospital has made an investment in the most advanced diagnostic technology. Our capabilities include mammography, sterotactic biopsies and breast MRIs, as well as Ultrasound, CT scans, and PET scanning. The sophistication of this technology results in more accurate diagnoses and earlier treatment - all available close to home. Yet, the demand for cancer care in our community has more than doubled since 2015. New referrals for cancer care have continued to escalate. Mid Coast Hospital has responded by expanding and enhancing facilities, programs, and medical staff. Expansion: Current cancer care services at the Parkview Campus have been dramatically enhanced to almost 10,000 square feet; a 5,400 square foot medical oncology practice and a 4,300 square foot medical infusion center that delivers outpatient medical treatment including chemo and infusion therapies, and other non-cancer related medicines. Four small exam rooms have been transformed to six enlarged spaces. 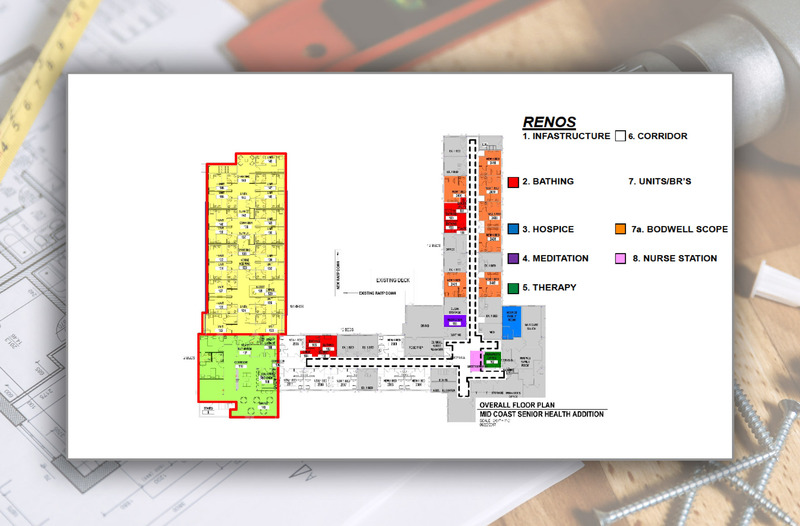 The number of infusion bays has been increased by 40% and made into contemporary, spacious bays designed as a restful, healing environment, overlooking the green pines that surround the Parkview Campus. 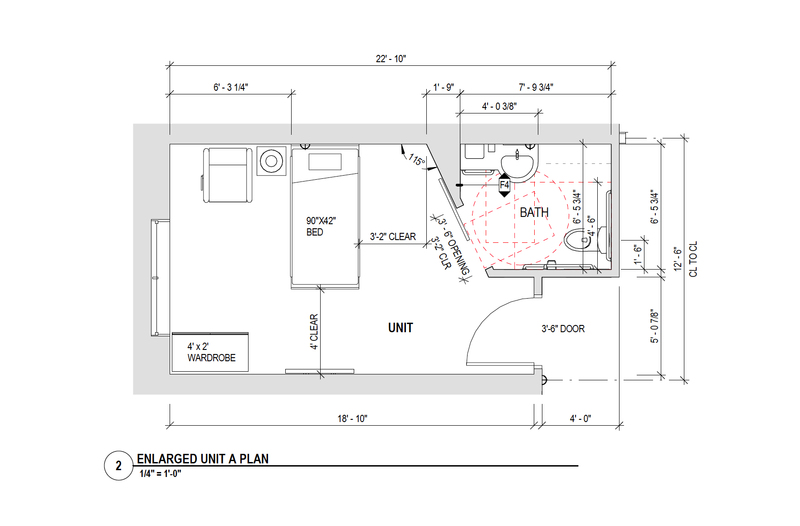 Additional space allows for multiple disciplines to efficiently consult, discuss, and determine potentially complex treatment paths on-site. 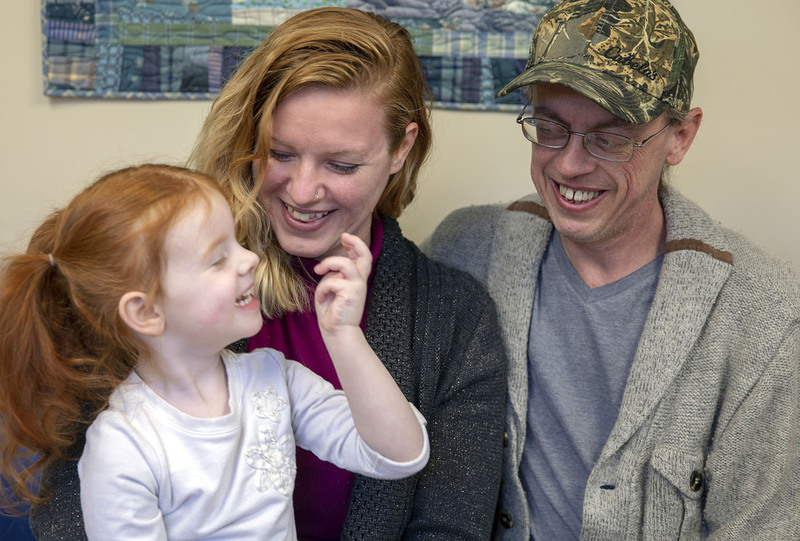 Consultation rooms have eased the stress of physician-family meetings. 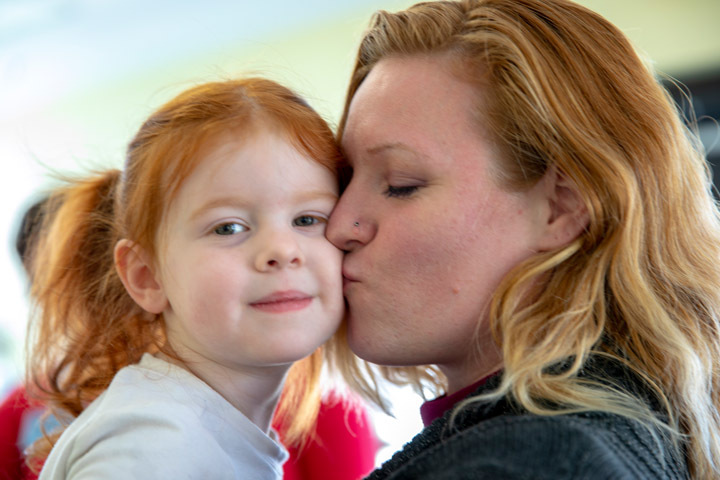 Greater Affiliations: A new partnership with the MaineHealth Cancer Care Network has expanded delivery of the highest quality cancer care in affiliation with MaineHealth. Programs: Recognizing that a diagnosis of cancer is not just stressful for the patient but for the entire family, plans include the implementation of programs to reduce the distress associated with cancer and provide support surrounding treatment. Social workers and nurse navigators help patients and families through every step of the diagnosis-treatment-after care journey. The close proximity of this practice to the new Center for Community Health & Wellness allows for pre-, during, and post wellness opportunities that enhance the care delivered, including survivorship programs, medical exercise, and nutrition counseling for cancer patients. Goldie spent her last years at Mid Coast Senior Health Center in long-term care after living next door to her childhood friend, Sylvia, at Thornton Hall assisted living. A lifelong resident of Brunswick, Goldie graduated from Brunswick High School in 1935. She lived on Federal Street where her family kept chickens and cows when she was a girl. She rode her bike to work every day, even in winter, to Bowdoin College where she worked as a payroll supervisor for over 35 years. 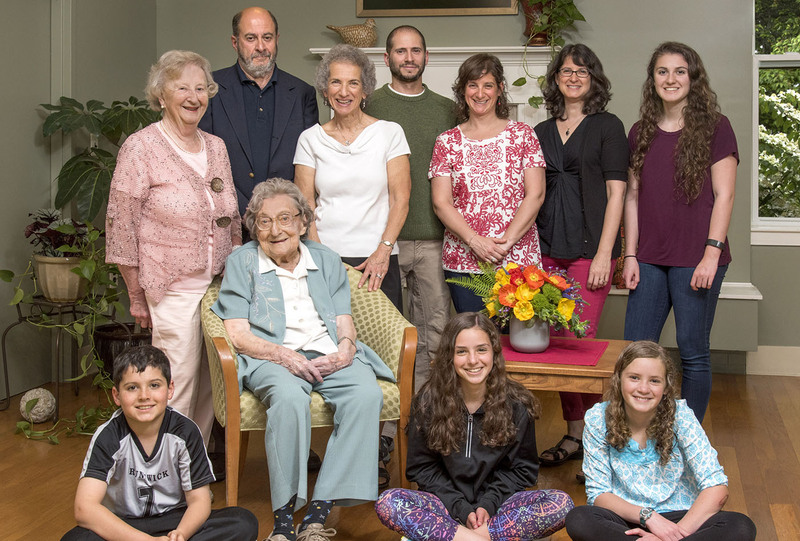 She never missed a New England Patriots game, even receiving a jersey from Patriot quarterback Tom Brady when she turned 100. Rapidly Aging Population: Maine has one of the oldest populations in the country-and it's growing older. The 65 and above age group will account for nearly all Maine's population growth in the next ten years. Mid Coast-Parkview Health must adapt to this changing dynamic and make vital investments for the future. By 2022, there will be a 46% increase in the number of residents in this age bracket-a staggering increase. Accessibility to Needed Services for Elders: Mid Coast-Parkview Health recognizes the importance of providing specialized care and options for seniors. To achieve this, we must offer a full array of comprehensive services with greater access to nursing home, long-term, rehabilitation, and hospice care. 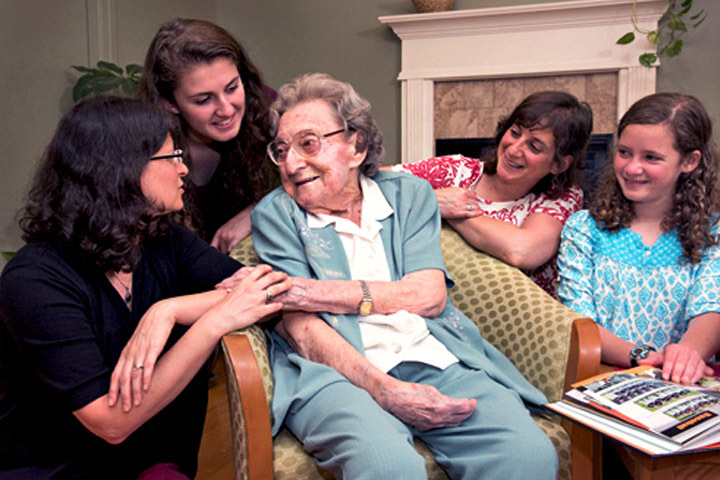 End-of-Life Care: CHANS Home Health & Hospice provides compassionate end-of-life care in people's homes; however, often complicated and complex health issues require an inpatient hospice setting. Currently, the Senior Health Center has limited capacity to provide inpatient hospice services. Increasingly, hospice patients and their families must travel out of our community to receive inpatient hospice care. Quality Expectations: The nursing home and nursing and rehabilitation wings of the Senior Health Center were built in the 1960s. Each wing houses 21 rooms. Over the past 50 years, only minor cosmetic changes have been made to the design and layout of the facility. The rooms are outdated, and only ten of the 42 rooms are private. Expansion of Hospice Care: The renovation will create a dedicated hospice presence, greatly enhancing the environment for hospice care patients and families close to home. Private rooms will allow families to spend precious moments with their loved ones. Dedicated family, kitchen, gathering, and meditation spaces will provide a much-needed respite for family members and friends. Expanded inpatient hospice services will help patients avoid an unsettling transition to another facility at a time when peace, comfort, and dignity are so valued. 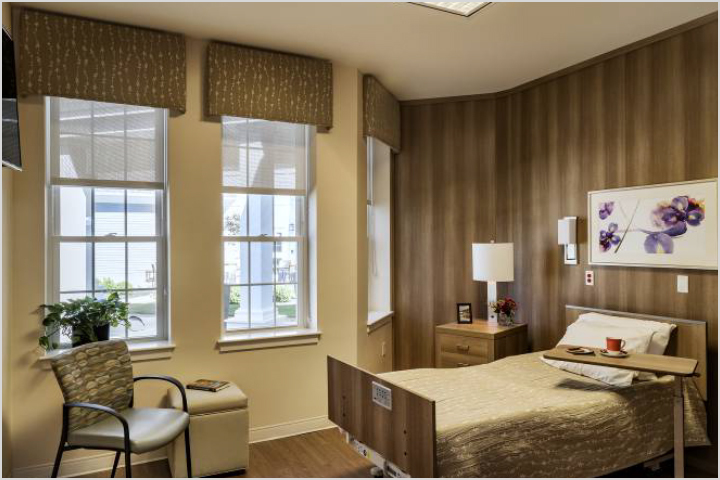 Renovated Private Room and Flexible Use Space: In the nursing home and rehabilitation wings, new suites will be constructed, and existing rooms will be modified to create private spaces. Rooms will demonstrate a contemporary, amenity-rich, and natural light-infused environment. 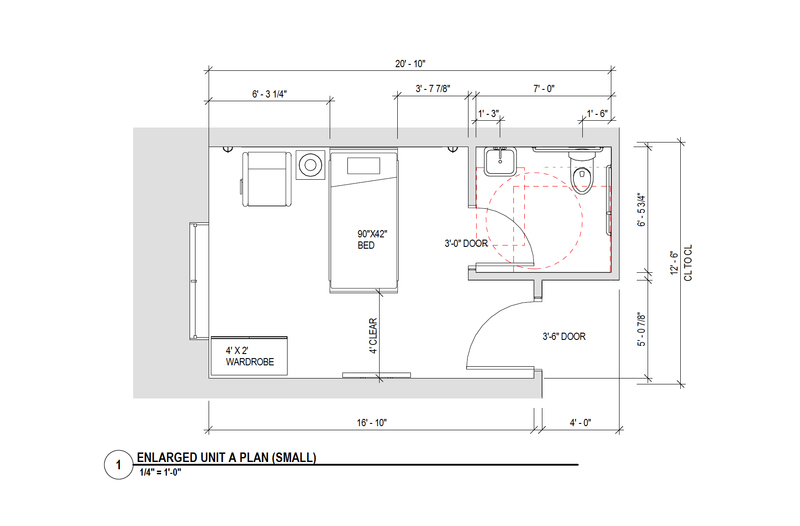 Each renovated private room will have a welcoming entry space and a large, private bathroom. These changes will provide a "flex-space" use of the current wings, where, if necessary, every room could serve as a hospice room. 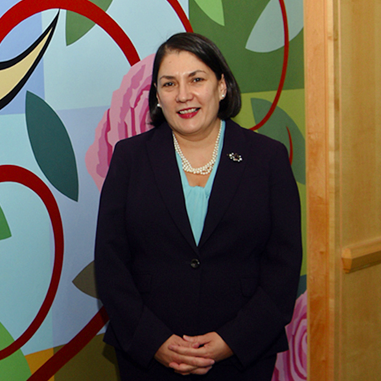 Two hospice family rooms will be constructed for loved ones to stay close to the patient. Amenities include WiFi for communication to other family members or work responsibilities, a kitchenette, showers, and sleeping quarters. A Meditation Room will also be constructed for quiet contemplation and privacy for the family. Setting New Standards: Through these improvements, we will dramatically raise the standards of elder care in our community. Mid Coast-Parkview Health will be well-positioned to manage long-term growth for our seniors, while optimizing quality of care and cost efficiencies. Community Benefit: The planned initiative will result in a better patient experience. Because patients will be cared for in single rooms, there will be an enhanced ability for infection control. Physical therapists will better aid patients with additional space to move more freely. There will be a seamless transition for many of our elders, as they require escalating medical attention, treatment, and privacy. After undergoing a double lung transplant, Ed received rehabilitation and medical exercise at the Mid Coast Center for Community Health & Wellness. A retired Bath Iron Works employee, Ed exercises faithfully three times a week performing a disciplined regime of weights, stretching, and cardiovascular supervised exercise. He said, "The dedicated team at the Center for Community Health & Wellness helped me get back on the golf course. I couldn't be more grateful." Located at the Parkview Campus, the Mid Coast Center for Community Health & Wellness provides quality, evidence-based prevention and wellness information and resources through classes, clinical care, workshops, support groups, literature, and online resources for an array of important topics for all ages. We collaborate with, and promote resources available from, local and national organizations and experts who are leaders in health promotion and wellness. 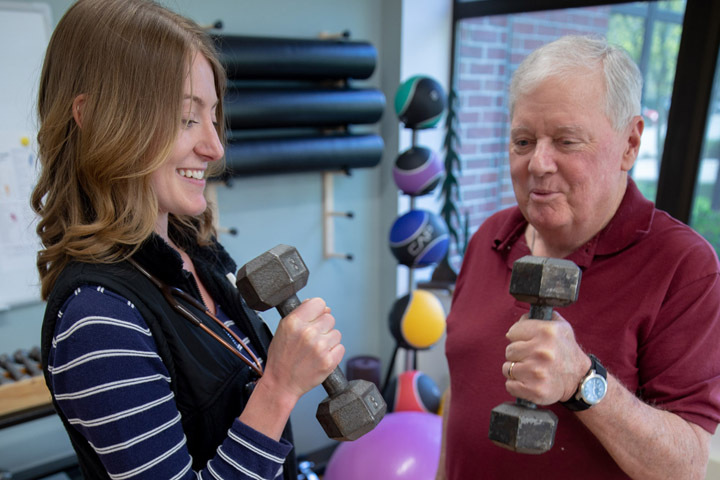 The Wellness Center serves as a helpful resource for patients, as well as for thousands of others in the Greater Bath-Brunswick-Topsham area seeking medical exercise and health and wellness programs. The Wellness Center is committed to creating and sustaining a healthy community, keeping people out of the hospital, and helping those with a recently diagnosed or chronic illness get well or learn to manage illness. 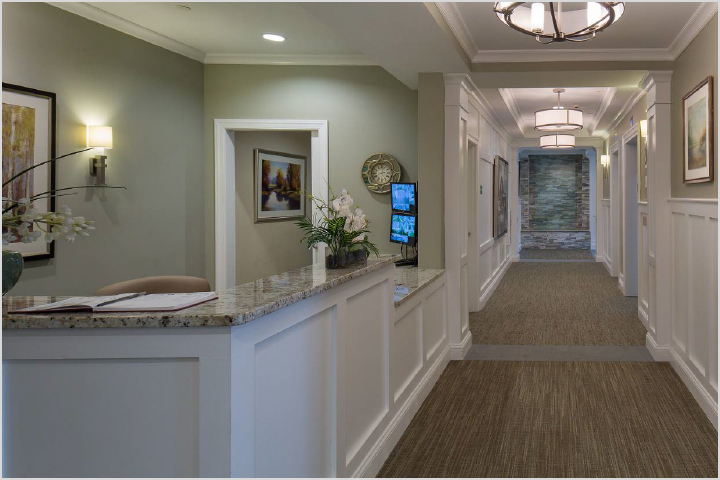 Renovation: With the newly renovated 8,000 square foot space, we have brought together all our Community Health & Wellness programs under one roof; an integrated health and wellness center that cares holistically for mind, body and spirit. The Center provides ample room for cardiac and pulmonary rehabilitation, as well as the space and equipment to provide supervised, medical exercise for patients. 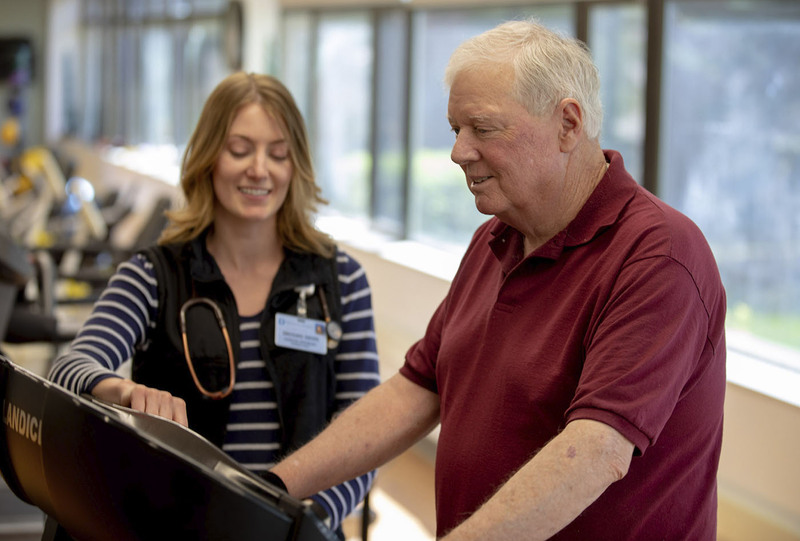 Medical Exercise: Our cardiac and pulmonary rehabilitation programs have been expanded to reach patients dealing with other serious illnesses such as diabetes, heart disease, cancer, Parkinson's disease, arthritis, and more. Mindfulness-Based Stress Reduction: An educational program designed to help people better cope with stress and life's challenges. Mindfulness is an awareness that arises by intentionally paying attention to the present moment. We have expanded and integrated this program with other medical services such as cancer and addiction programs to assist our patients dealing with stress. Community Education and Counseling: We have expanded our preventative programs such as asthma education, tobacco cessation, nutrition, and weight loss programs to have greater impact on the overall wellness of our patients and community members. 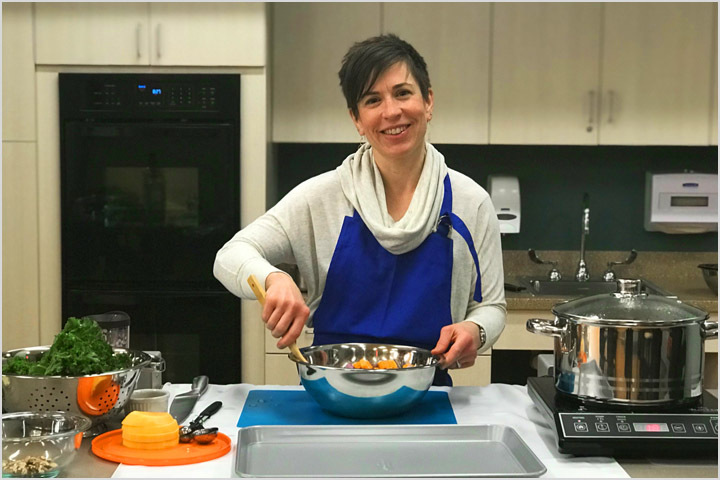 Culinary Resources: A robust instructional culinary program has accommodated over 100 people at a time for healthy cooking courses and other classes in the new teaching kitchen. 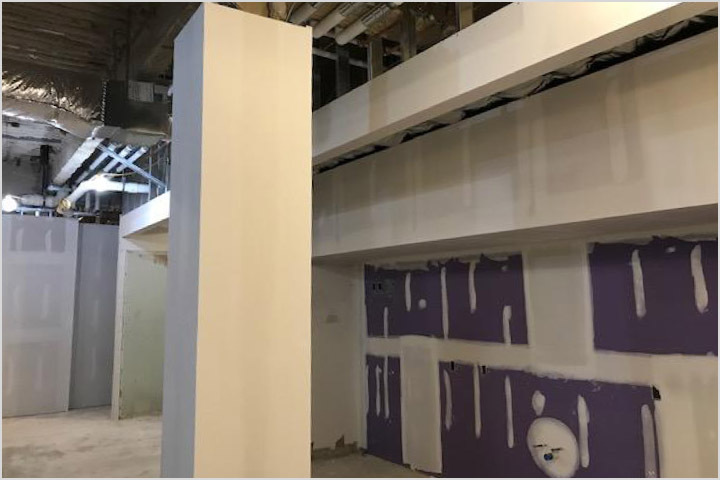 Community Benefit: The Cancer and Wellness renovations provide additional integrated, contemporary space for these services to be used for the critical ancillary programs and caregivers that support patients and families through and beyond their illnesses and treatments. Gifts to the capital campaign can be made in a variety of ways. Each gift, regardless of size, is needed and deeply appreciated. Gifts from the majority of donors will be pledged and paid over a five-year period. The simplest way to make a gift is to contribute cash. A tax deduction is taken in the year the gift is made. Methods of making gifts of cash include checks, credit card, payroll deduction, or secure online giving. The IRA Charitable Rollover provision allows individuals who have reached age 70.5 to donate to charitable organizations directly from an IRA without treating the distribution as taxable income. As laws may change, please consult your tax professional for eligibility. The success of Mid Coast–Parkview Health will depend on long-range planned gift options. Planned gifts of $100,000 or more may allow the donor to reach a specific naming opportunity level as appropriate. For outright gifts of appreciated long-term securities, deduction is equal to the fair market value of the securities on the date the donor relinquishes control of the assets to Mid Coast–Parkview Health. A wonderful serenity has taken possession of my entire soul which I enjoy with my whole heart. A wonderful serenity has taken possession of my entire soul which I enjoy with my whole heart. A wonderful serenity has taken possession of my entire soul which I enjoy with my whole heart. A wonderful serenity has taken possession of my entire soul which I enjoy with my whole heart. Follow Mid Coast–Parkview Health's progress on the capital campaign from the grand opening of the Parkview Campus through ground-breaking on the Senior Health Center and beyond. Get a sneak preview of the designs for Mid Coast Senior Health's renovation. See the newly built Teaching Kitchen in use for a healthy cooking demonstration. A first look at renovation plans for Mid Coast Senior Health. The campaign will raise funds to support vital local healthcare projects. 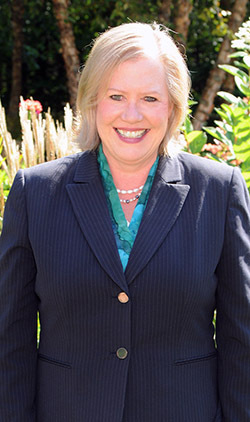 Remarks by honored guests and the senior leadership of Mid Coast–Parkview Health. The Mid Coast Hospital Parkview Campus underwent a $6.2 million renovation. With the health of our community in the forefront, we have successfully brought major changes to the healthcare landscape. We have worked diligently toward fulfilling our goals of reducing costs and expanding services to support the health of our community. Great strides have been made, but there is more we need to do, and compelling reasons why we must do them. In 2001, we converted the former Regional Memorial Hospital to become the Mid Coast Senior Health Center in order to provide quality care for our elders. 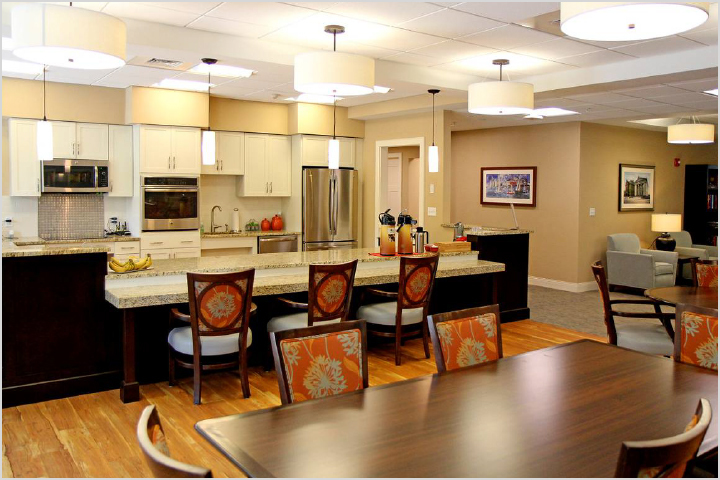 At the time, Thornton Hall assisted living and The Garden memory care communities were beautifully remodeled, offering private rooms and modern amenities. The Mere Point and Bodwell wings of the building, delivering long term care, skilled nursing, rehabilitation and inpatient hospice, received only cosmetic upgrades to the 1960's structure. With the aging of our population and need for expanded inpatient hospice care, we now must finish what we started. 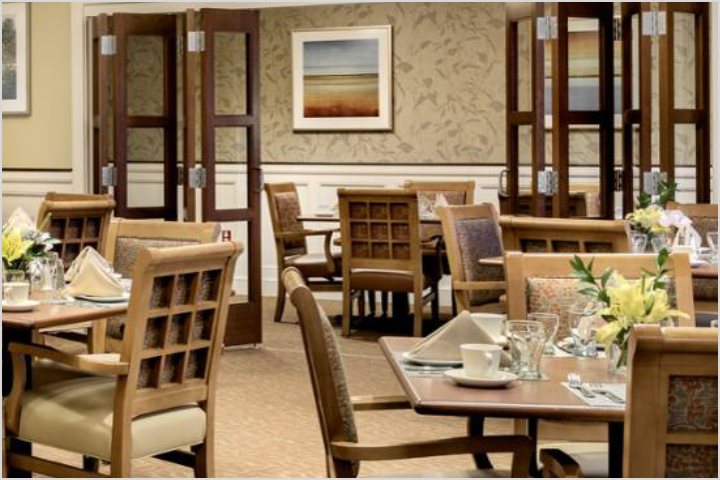 The Campaign for Mid Coast-Parkview Health will assist us in renovating both Mere Point long-term care and Bodwell skilled nursing and rehabilitation communities to all private rooms, allowing any room to be used as needed. We have heard from many of you that this project is vital for our community. To undertake this $5 million renovation, it must be fully funded through philanthropy. We respectfully request your help to accomplish this project. The Mid Coast-Parkview Health Board of Directors also approved a $6.2 million renovation of Mid Coast Hospital's Parkview Campus. 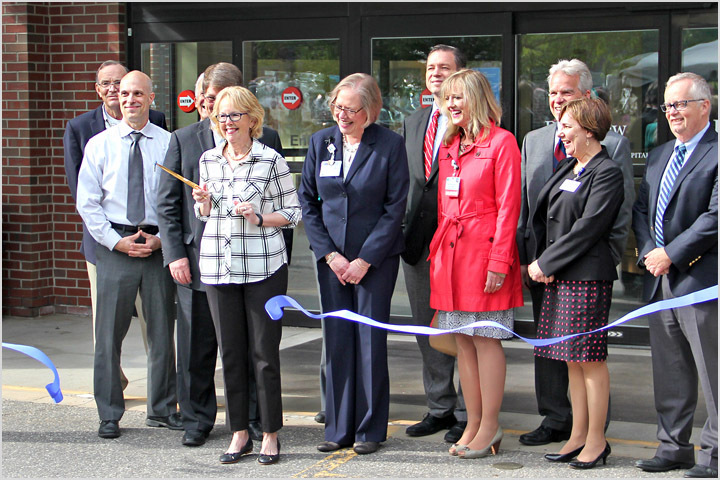 We are moving forward with the necessary expansion of Cancer Care in partnership with MaineHealth. Our Center for Health & Wellness also recently opened at this site, providing support to keep our community healthy and well. Although approved by our Board, the Parkview project is being funded through debt financing and philanthropy. Assuredly, Mid Coast-Parkview Health will do its part to make this vision a reality, but the financial assistance of our community would be a great asset to its completion. On June 6, Mid Coast Hospital hosted a grand opening for its Parkview Campus featuring speaking presentations, tours, and refreshments. The Mid Coast Hospital Parkview campus underwent a $6.2 million renovation. 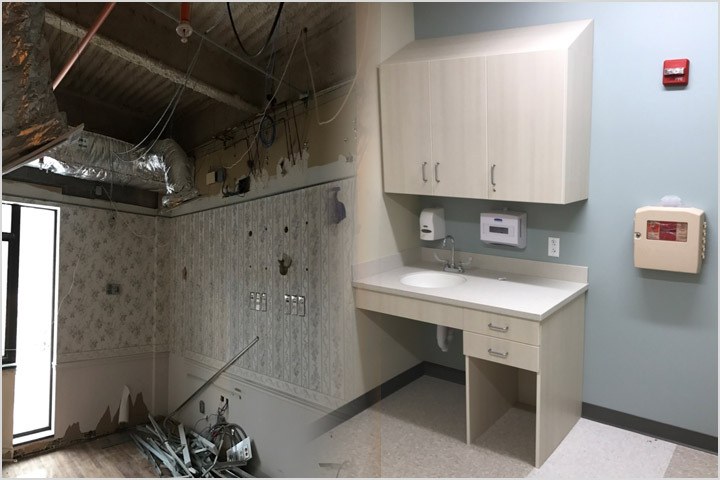 Photos taken during and after the renovation showcase the significant updates made to the facilities, such as the maternity care spaces (above, left) that have been transformed into modern exam rooms at Mid Coast Medical Group–Family Practice at Parkview (above, right). Renovated hallway spaces neatly obscure extensive ductwork, pipes, and electrical systems throughout the building. 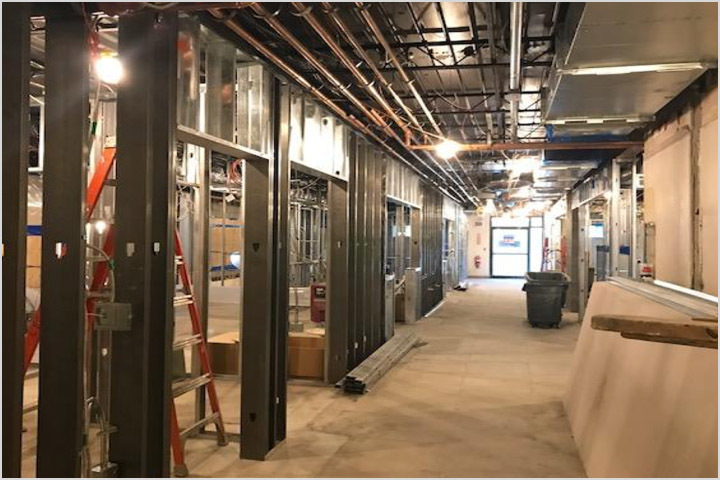 Mid-construction work in the walls and ceiling of the Wellness Center. Creating a brand-new Movement Room plus Teaching Kitchen in the Wellness Center. 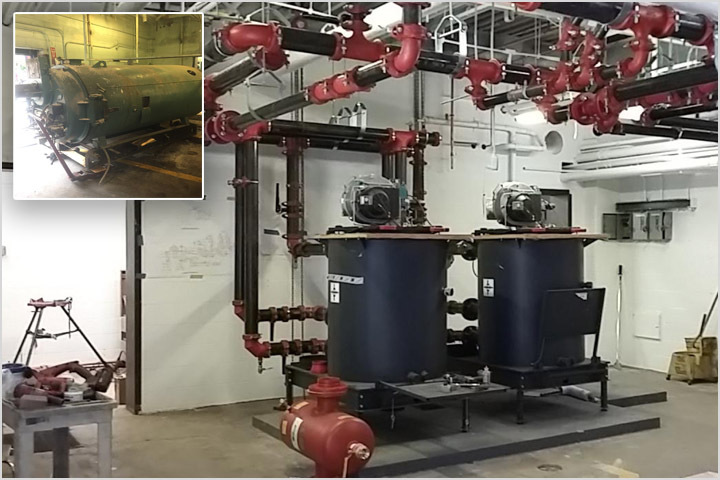 Upgrades to the boiler system, with removal of the old boiler shown in the insert at top left. Mid Coast Senior Health has unveiled its renovation plans. The current plan is to begin with the 9,000-square foot renovation immediately followed by the addition of a new 7,000-square foot wing in the spring. View the latest plans by clicking the graphics below. The Teaching Kitchen allows the Mid Coast Center for Community Health & Wellness to host a number of providers from across Mid Coast–Parkview Health who lead healthy cooking demonstrations. This includes Kimberly Dovin, MD, who is preparing a healthful salad (above), as well as Timothy Howe, MD, leading a session of Food for Health (below). 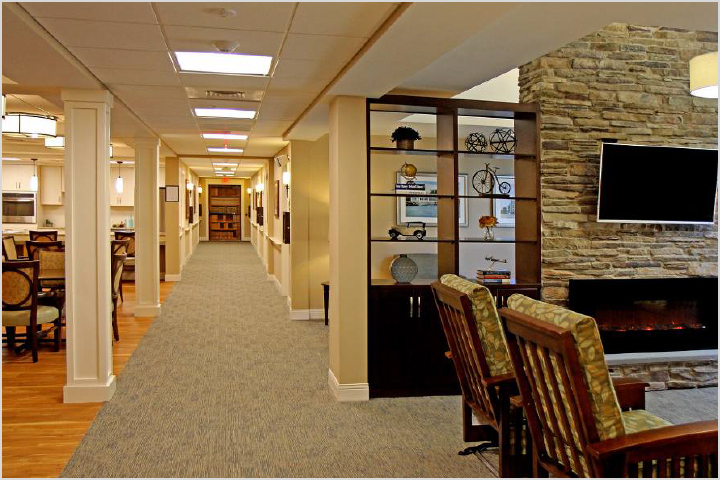 Get a sneak preview of the new corridor, residential, and living space designs for Mid Coast Senior Health. Our newsletters provide local healthcare information. 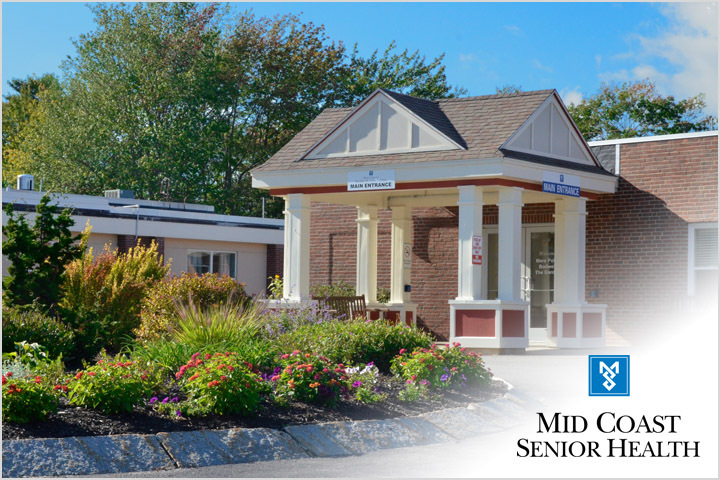 The Mid Coast Senior Health Center remains the only facility in the region to offer a full range of award-winning senior health services and living options in one location. However, a long-term multi-phased plan to manage the increased demand for healthcare for our elders is critical to support the growing needs of the community. The need for comprehensive cancer care in our community is increasing. Mid Coast Hospital is poised to meet this challenge. The Wellness Center helps continue to prevent disease and care for those with chronic illness to help our community remain healthy and well. 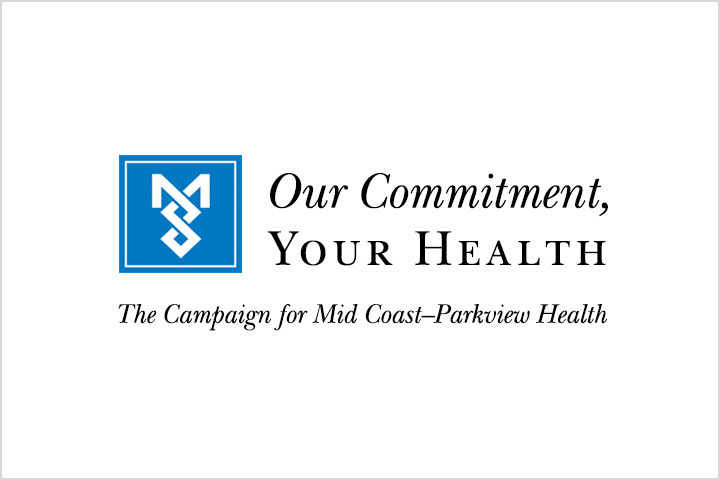 Mid Coast–Parkview Health has launched a capital campaign to fund the $9.2 million cost of these important projects. To accomplish this, we need your help. It takes extraordinary resources to make our bold vision of advanced elder and hospice care, cancer care, and wellness a reality. Unequivocally, the ultimate success of Our Commitment, Your Health, a capital campaign for Mid Coast–Parkview Health, depends upon generous philanthropic partnerships with individuals, businesses, and you.